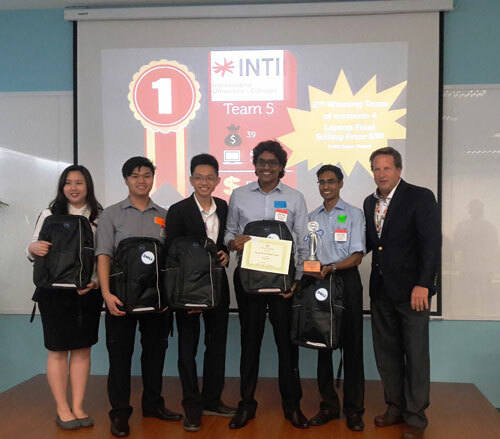 It was a jubilant moment for the students from INTI International College Penang when they were named the champions of the Dell Business Challenge 2016. This event marks the third year of the competition which is aimed at developing the business acumen and critical thinking skills among students. Alongside INTI, nine other institutions of higher learning participated in the competition, including KDU, TARC, UTAR, PTPTL and USM. The team from Penang were made up of Azeem Azhari, Veanu Thanabalan, Ng Won Hee, David Oon and Ho Wen Ling – all of whom are currently pursuing the Bachelor of Commerce degree from the University of Wollongong (UOW), which ranks among the top 15 universities in Australia . The competition this time focused on a case study presentation which required participants to evaluate and come up with decisions affecting procurement, sales and the manufacturing of computer parts. It also required the students to look at more than one scenario with points being awarded for creativity and how students could improve the profits generated throughout the process. Among the challenges they came up against was to deliberate, decide and deliver their presentation within a short time frame. In spite these challenges the team was rated with the highest score in points for its visionary approach to profit and excellent presentation skills. In addition to the practical learning they took away from the competition, the team explained that team work was the key driver of their success. Delegation and communication, they explained, was how they managed to research the overall business case and develop their responses and presentation. 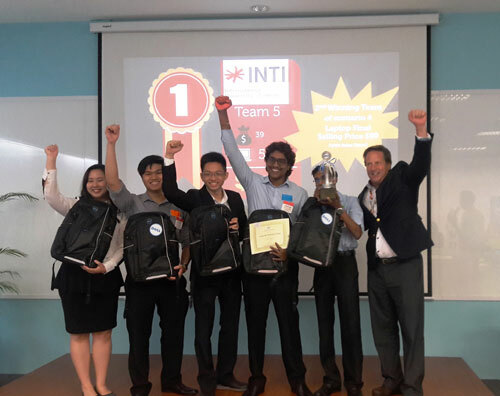 Their success reflected the qualities INTI strives to inculcate in its students, namely critical thinking, creativity, collaboration and communication. Beyond academic excellence, INTI integrates these vital 21st century skills throughout its learning methodologies both within and beyond the classroom as part of its bid to help students gain an edge over their peers and prepare them for their future careers.